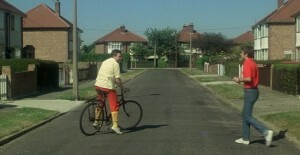 À nous les petites Anglaises is a French coming-of-age film set in England in the summer of 1959. Two French boys Alain (Remi Laurent) and Jean-Pierre (Stephanie Hillel) who have failed their English exams are sent to the South of England, in the hope to improve their English. However, the boys find it is easier to flirt with the other French schoolgirls. The film is directed by Michel Lang (Bankers Also Have Souls, Softwar) and stars Rémi Laurent (La Cage aux Folles, Les Plouffe). Stéphane Hillel (Austern mit Senf, Summer Night Fever) and Véronique Delbourg (Quand flambait le bocage, Peau d’ange). The film was filmed mainly in Ramsgate, the arcades, the Foy Boat, Royal Harbour and the main sands feature throughout the film. King George VI park in Ramsgate is used for the scenes where the boys take their dates to the park. 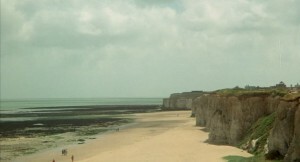 Botany Bay and Kingsgate Bay features as the beach where the students and their dates have parties and go swimming. The Port of Dover is the place of arrival at the start of the film when Alain and Jean-Pierre arrive in the UK. Ramsgate is a historic coastal town with beautiful beaches, cliff top walks, the only British Royal Harbour as well as a port. The town has been used as a film location for projects including Restoring Britain’s Landmarks (2015), True Love (2012) and Contraband (1940). Kingsgate is a sandy bay surrounded by chalk cliffs that connects at low tide through Whiteness cliff arch to the beautiful Botany Bay. The beaches have featured in many different productions such as Mr. Selfridge Series 4 (2016) Mary Berry’s Absolute Favourites (2015) and Whistle and I’ll Come To You (2010). The Port of Dover is one of the UK’s busiest Port, with cruise-liners, fright and cargo. This location has featured in Sherlock Holmes: Game of Shadows (2011), Albert’s Memorial (2010) and Diamonds Are Forever (1971). 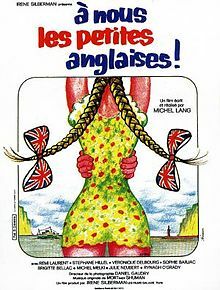 À nous les petites Anglaises was released on the 7th January 1976 and is now available to purchase on DVD. This entry was posted in Filmed in Kent and tagged À nous les petites Anglaises film locations, Botany Bay, feature film, Kingsgate Bay, Port of Dover, Ramsgate. Bookmark the permalink.